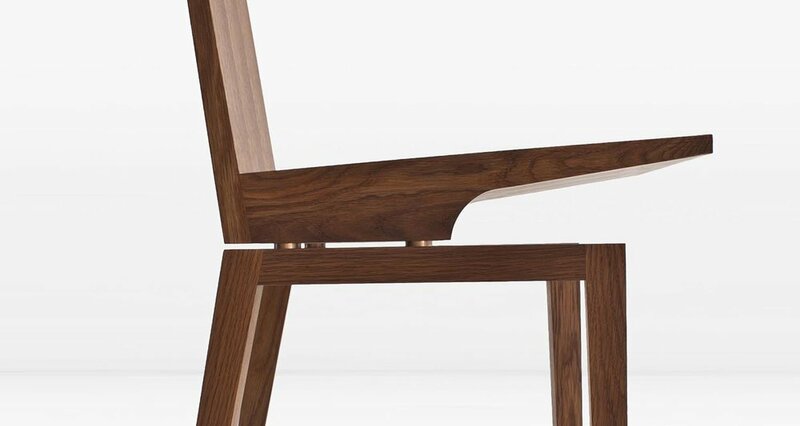 The Corbett Chair is fabricated of solid, rift cut wood. Bronze standoffs allow the seat to visually float above the base. Shown in quartered Fumed White Oak. 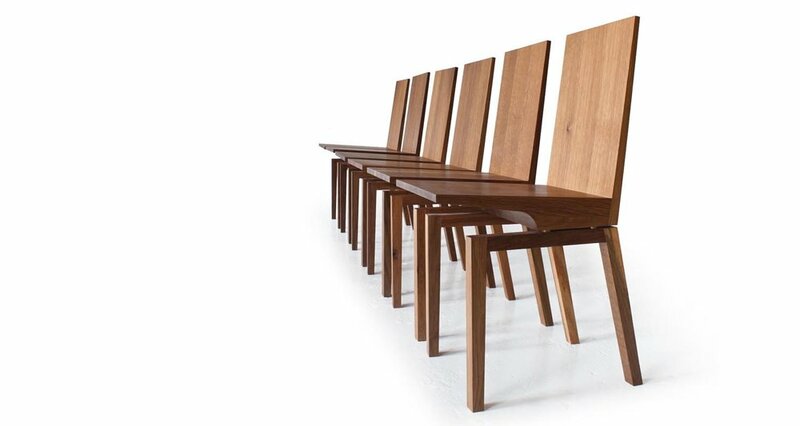 Also available in American Black Walnut.